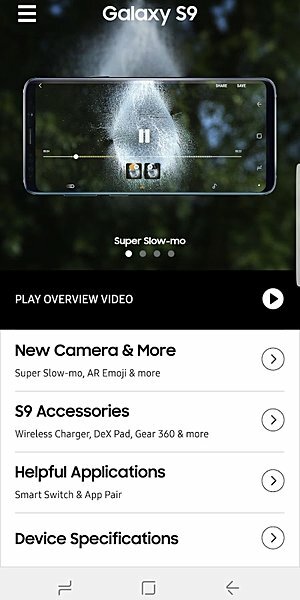 Samsung has launched a demo Experience app for the Galaxy S9/S9+. As the name suggests, the app lets users experience the features of Galaxy S9/S9+ on their own phone. So, if you are planning to purchase any of these new flagships but want to get a feel of the features the device offers before actually purchasing it, you can give the app a try. The app is currently available on the Play Store (not in India as of now) and it is compatible with devices running Android 6.0 and above. Samsung has earlier launched such app for the Galaxy Note 8 earlier this year. 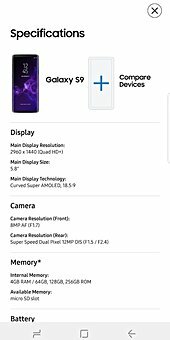 Now, with Experience app for the Galaxy S9/S9+ the company wants the users to experience the features before making a decision to purchase the latest flagships. There are four main sections in the app namely New Camera & More, S9 Accessories, Helpful Applications, and Device Specifications. Each of these sections contains relevant information, either in the form of videos or text and images. The size of the app is 743 MB, so we can expect plenty of features to experience. After installing the app, you will be able to walk through various camera features such as changing the aperture and the background blur or bokeh effect. 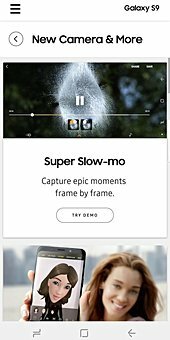 You can also get a better idea of how super slow-motion videos captured and AR Emojis work. Of course, this app won’t turn your camera into the S9 camera but it will give you a fair idea of what it can do and how that would look. There is another section of the app that details about various accessories for the S9 line-up. 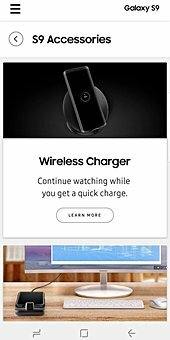 You can check out accessories like quick charge wireless chargers and computer docks and also apps like Smart Switch. You can experience the stereo speakers and the new fingerprint sensor’s location as well.